These little 20 gram "balls of feather" are much more than "little yellow birds that sit in a cage and sing." They are interactive with unique, individual personalities and are wonderful companions. Canaries (Serinus canaria) are derived from a finch species native to the Canary Islands that was introduced into Europe in the early sixteenth century. There are many types and colour varieties. 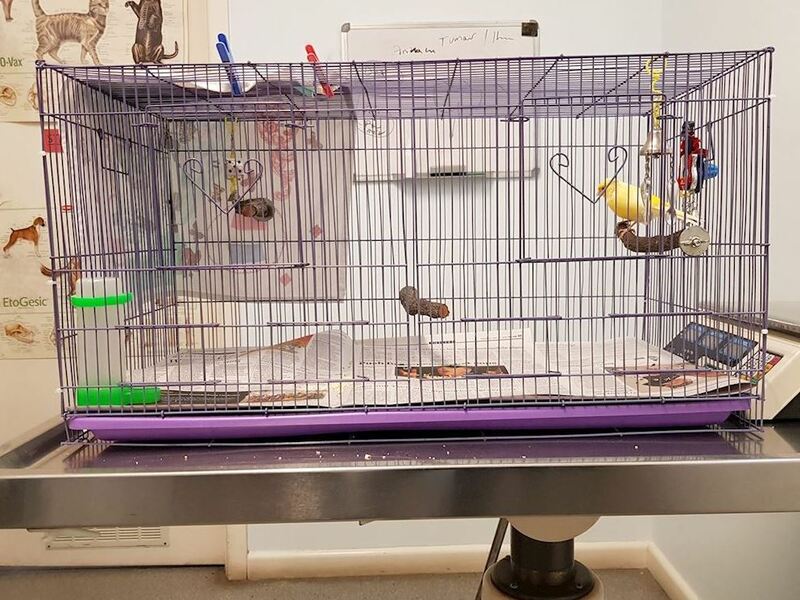 Average life expectancy is about 7-8 years but we've seen individual birds who have reached age 12 years at our Melbourne Bird Veterinary clinic. Canary Housing and Canary husbandry - this is a FANTASTIC canary cage and Set up. NO DOWEL PERCHES ! Perches should be natural wood of varied diameters . Placed at opposite ends of the cage to encourage flight. Avoid sandpaper on perches. Avoid toys or SWINGS in the flight path. Do not CLUTTER the flight path. Place a bird bath in the cage. Bathing is both necessary and pleasurable for your bird. Some bird baths are designed to fit in the cage door and are not messy. Some canaries enjoy having a swing, but do not place the swing anywhere that it might stop free flying between perches. Leafy native Australian tree branches, grasses & greenery should be put into the cage for behavioral enrichment & beak care. Canaries to not tend to play as much with toys as the parrots, but there are some types they enjoy. See our range of bird toys . Do not change toys as the birds get accustomed and hate any change. Do not use cotton wool or fine fires for nesting material or in the cage as canaries are prone to getting such fibers caught around their toes. Leg bands should be removed in older birds. The canary vet may see many constricted leg bands constricting the scaly feet of older birds. Birds are not helicopters, to allow flight have a wide cage rather than a tall one. 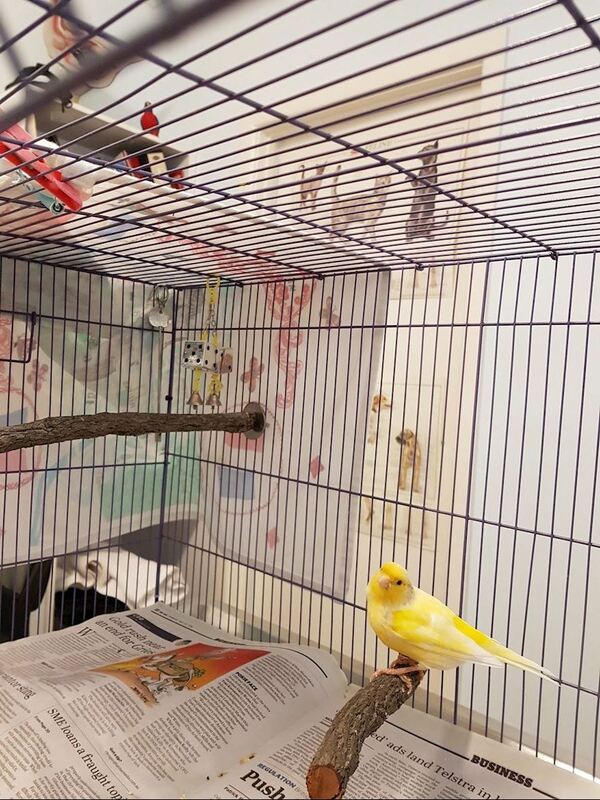 The canary vet recommends a reasonably sized rectangular cage is suitable. Round cages are NOT recommended and should be replaced. The canary cage should be away from droughts and direct sunlight. Male canaries are okay being alone in their cage without a canary companion as long as there is a good human companion. . In the wild they are solitary birds and do not live in a flock. Pairs get together for the breeding season only. But canaries are still very sociable and bond with their owners. The daily feeding routine and talking to the birdeach time you pass the cage is important. Male birds respond to the attention by singing for large parts of the day. Canaries can also be kept in pairs or groups provided the cage or aviary is large enough. Cages next to each other each housing a canary is another option. When babies hatch they need special soft food for the hen bird to feed them. It is usually referred to as egg food as in its simplest form it comprises hard boiled eggs and breadcrumbs. The canary vet also like sprouted seed as an useful addition while the parents are raising their clutch. The adult birds will still require seed and greens for their own needs. Canaries LOVE toys ... these are appropiate Canary toys - "Larry" Loves his canary toys. Give dark leafy green vegetables (spinach, silver beet, grated carrots, beans, peas, broccoli, seeding grasses, etc.) every SINGLE day. The canary veterinarian suggests feeding the vegetable that your Canary likes every SINGLE day.. Iceberg lettuce, cucumber and celery are not toxic but they lack vitamin A and trace elements that the preferred dark green and orange vegetables listed above contain. Also feed a combination of formulated canary crumble, or canary pellets and mixed seeds. Sprouted seeds is enjoyed as part of the diet. Small amounts of fruit may also be offered (e.g.. apple, pear, orange) as can multi-grain bread, pasta, chicken bones or other meat or chopped hard-boiled egg. For birds that are kept indoors a vitamin and mineral supplement may be recommended. by the canary vet. Canary Feather cysts. These are common and may need to be removed under anaesthesia. Malnutrition in canaries – usually related to intake of high fat seeds and limited vitamins and minerals. Scaly leg (caused by Knemidokoptes mange mites) in a Canary. Damage from fibers caught around toes. “Megabacteria’ caused by a yeast organism, Macrorhabdus ornithogaster. So called ‘going light’ (chronic weight loss) can be caused by a number of different diseases, including bacterial infections, Macrorhabdus, coccidia and other parasites. Specific testing is required to determine the cause in an individual case. 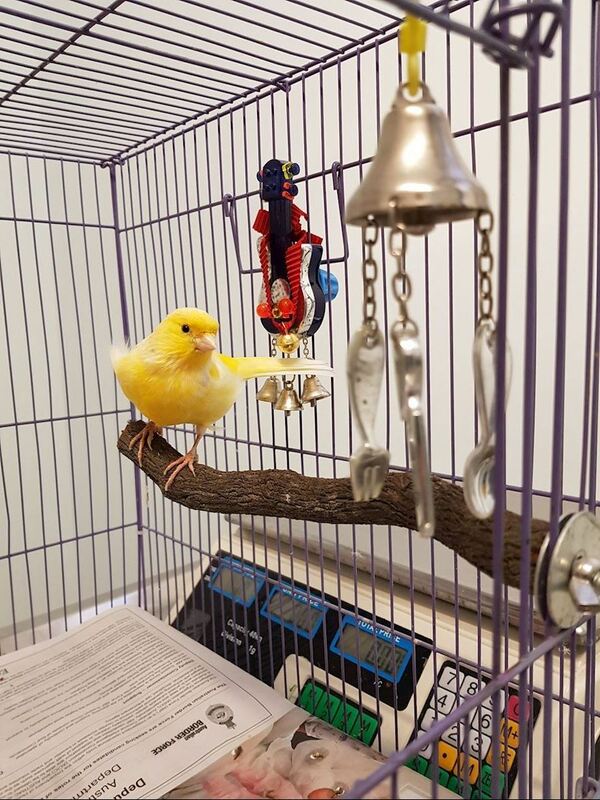 We recommend a health check (with testing, usually droppings as appropriate), when you acquire your new canary and each year thereafter, to ensure that care is optimal and to check for and prevent common illnesses.